Providing care for an aging parent with escalating health issues can be an overwhelming task that is exhausting not only mentally and emotionally, but also on a physical level. That’s why it’s important for caregivers to take time away from this responsibility and focus on themselves, which is where respite care benefits can help. Respite, or short-term, care is temporary residential care that is planned in advance to give the caregiver a little time off from their family caregiver responsibilities, while the older parent receives care from a trained professional in a safe environment. These stays can last as little as a week or as long as a month. The demanding situation can cause chronic stress, which is detrimental to all aspects of your health. It can deteriorate your physical well-being as well as your mental health, potentially leading to anxiety, depression and other issues. Respite care gives a little relief from the stress of your responsibilities by providing the time and space you need to heal and recuperate. Providing care to a person with many health issues doesn’t just take away from your work and social life – you may also find yourself neglecting your day-to-day responsibilities. Even a short staycation away from your caregiving responsibilities can allow you the time you need to take care of errands, chores, social visits and quiet time you have missed. Focusing your attention on your mom may draw your attention away from other members of the family. By taking a week away on occasion, you can spend some valuable bonding time with your significant other, children, siblings and others. While respite care is designed to provide the caregiver a break, respite care benefits your parent as well. Chance to meet other seniors. In addition to adding a little excitement by providing a break from your mom’s daily routine, respite care at an assisted living community immerses her in a warm and welcoming environment. She will have the chance to meet other people her age and engage in activities geared toward seniors. 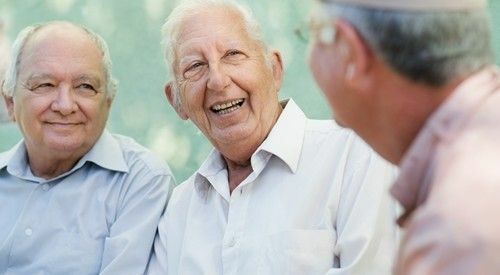 It can be such a rewarding experience that many seniors even find that they prefer spending their time at an assisted living community over receiving at-home care. One can get quickly burned out by providing care, especially if the caregiver must also balance work and a family. Respite care allows the caregiver time to heal from the stress so that they can return to the role refreshed, rejuvenated and ready to take on the duties involved. In fact, a short break can help prevent unintended neglect and feelings of resentment. It’s important to recognize that there is no shame in taking a break. In fact, with a little support, you may feel a new sense of joy in taking care of your loved one, yet another respite care benefit.